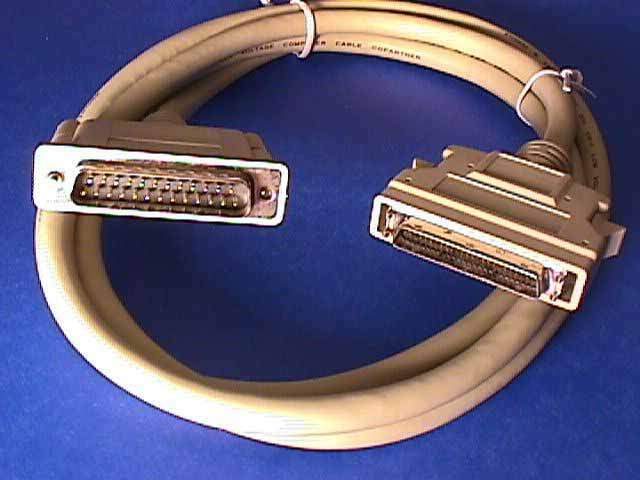 6' FT. Cable Male-DB25 to SCSI-II Male Mini(HP) DB50 Connector. Used to connect external SCSI Devices. Used on alot of JAZ drives.